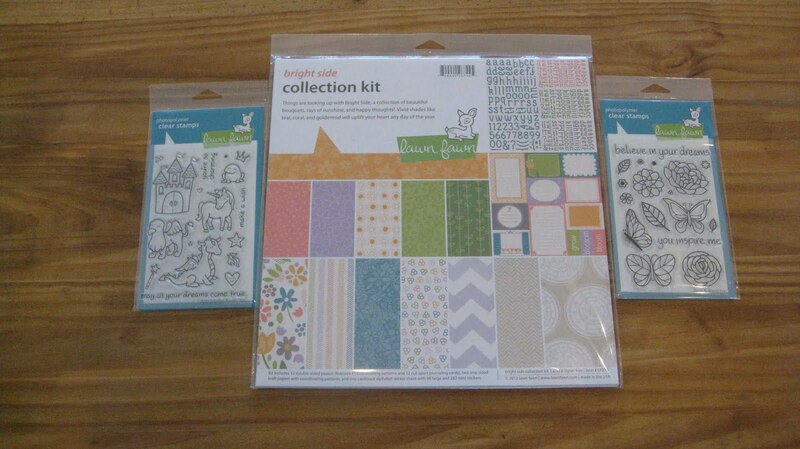 In March, I spent $49.33 on craft supplies at my local scrapbook store. I was hovering as they set out the new Lawn Fawn stamps and paper. I chose three items, which took me over my monthly target of $40. I am ok with this since I have been using all of these items. I am really happy with the stamp sets and the collection pack! I think it was a perfect choice! I thought the LF paper would be too bright for me but I LOVE them!! !